Hope you're enjoying the New Year! First recipe for the new year is one that was truly delicious as a Christmas dessert, so definitely had to share. Try it out and see how you like it. Preheat your oven to 180 degrees celsius or to a medium heat. Grease and flour a large cookie sheet pan or two medium cookie sheets and set aside. Measure the flour into a medium bowl and set aside. In a large bowl, measure the margarine/butter and beat with a mixer or whisk for at least 5 minutes until creamy. Measure the vanilla extract and sugar into the margarine and cream for 3 to 5 minutes until almost white in color. Pour half of the flour into the creamed mixture and beat for about a minute if using an electric mixer. Add the remaining flour and fold in using a spatula. Cover the cookie dough in the bowl with cling film and refrigerate the cookie dough for about an hour or more until it's easy to use with your hands. You can also set it in a cool place for about two hours. Using a tablespoon, scoop the dough and shape into little balls while placing them on the prepared cookie sheet. 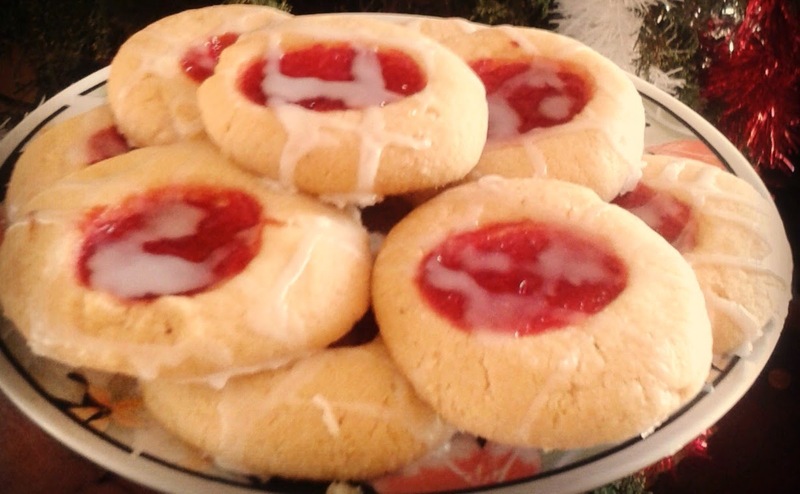 Leave space between the cookies; then using your thumb, make a hole in the middle of each. 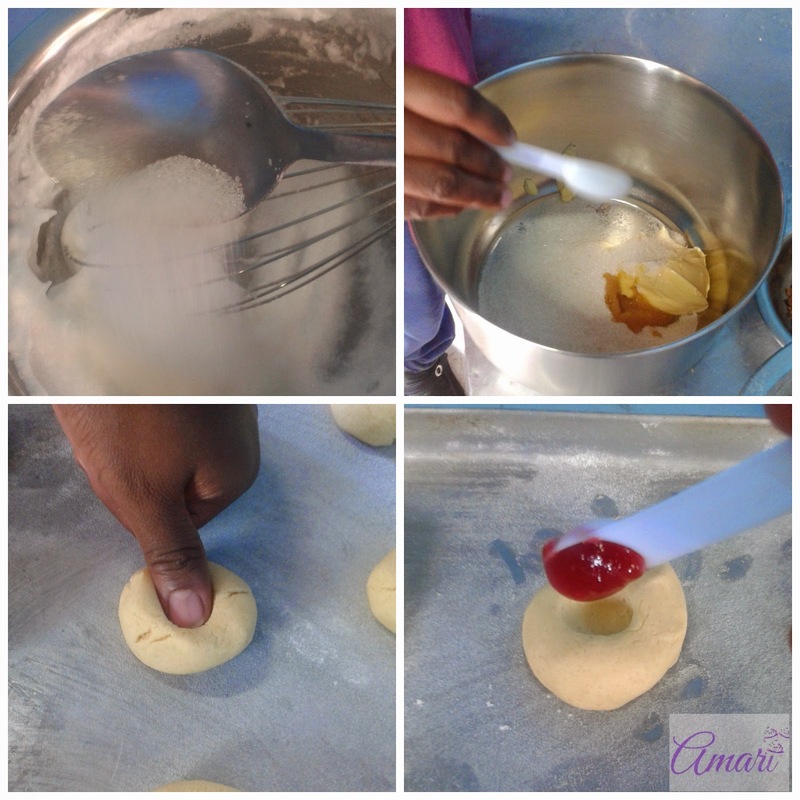 Measure the jam in a small bowl and stir until easy to use. 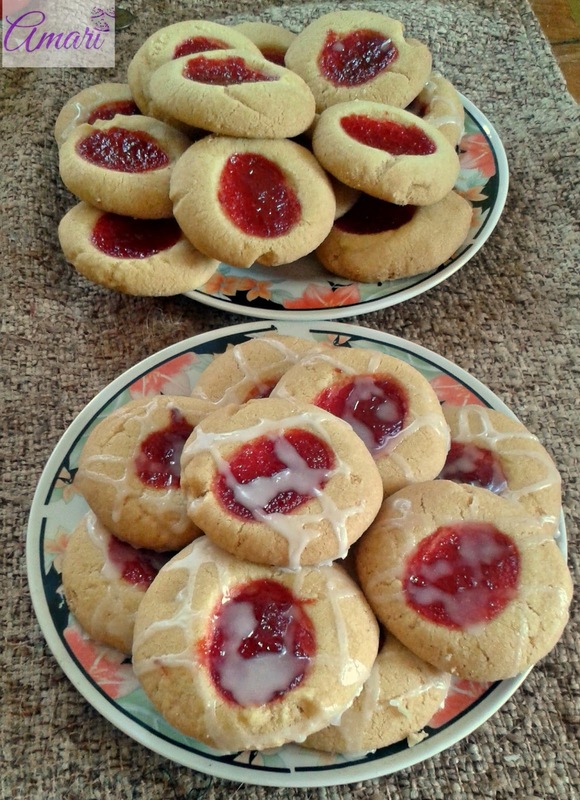 Use a half teaspoon to scoop the jam into each cookie. Sprinkle the extra sugar on top of the cookies. Place the cookies inside the pre-heated oven and bake for about 25 to 30 minutes or until golden brown. Remove from oven and allow to cool for about 5 minutes; then place them on a cooling rack or tray to cool completely. While the cookies are cooling on the rack, drizzle glaze on them as preferred. Serve the cookies on a plate ready to enjoy. * You can use vanilla essence if you do not find vanilla extract. 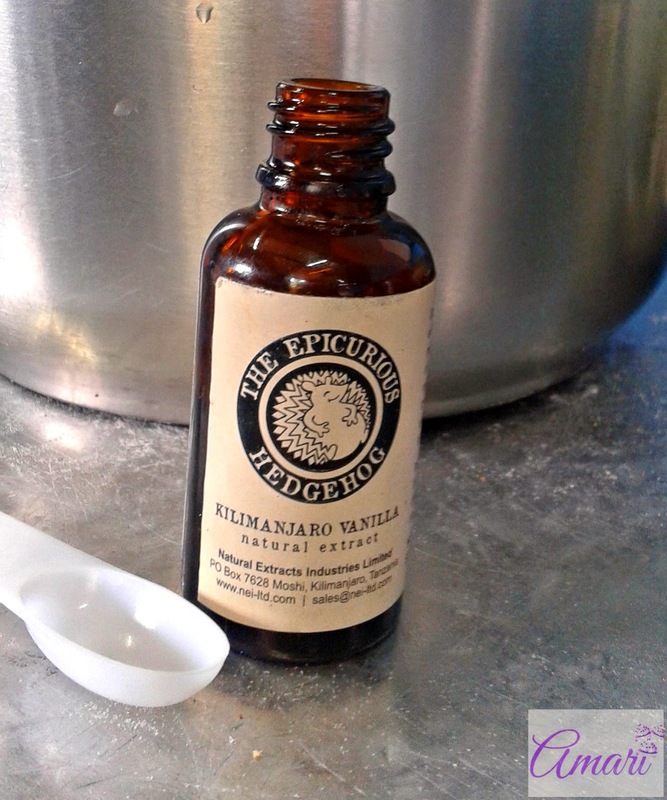 You can also try my current favorite product - Vanilla Extract - Kilimanjaro Vanilla. It's an organic brand called The Epicurious Hedgehog based in Tanzania. If you would like to order some let me know I will give you the contacts of the distributor. * If you can get it; make the cookies with butter, it gives you perfectly delicious cookies. 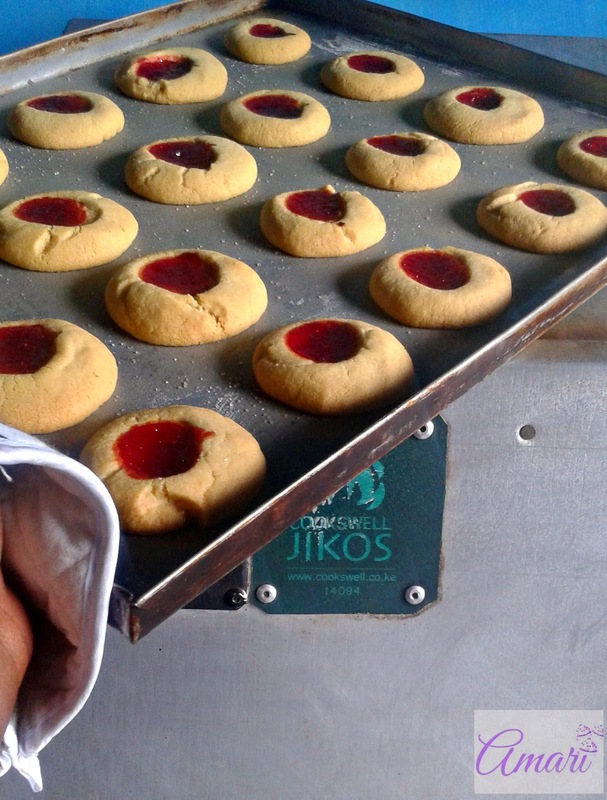 To learn how to bake with a charcoal oven, click on our Baking Classes page for a schedule of our classes.